Kyadondo East Member of Parliament Hon. 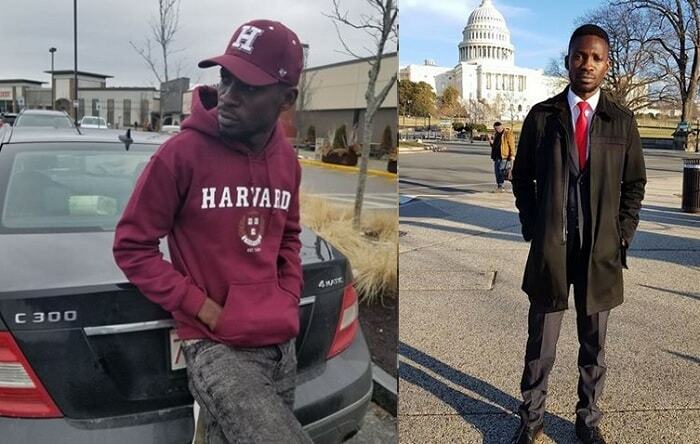 Robert Kyagulanyi Ssentamu aka Bobi Wine is in the US where he has been for a few weeks now pursuing a course at the Harvard University Kennedy School of Government. It's the very reason he was not able to attend the funeral of fallen musician and songwriter, Moses Nakintinje Ssekibogo aka Moze Radio who succumbed to injuries sustained from an Entebbe based bar, he died on February 1, 2018. And while in the US, Hon. 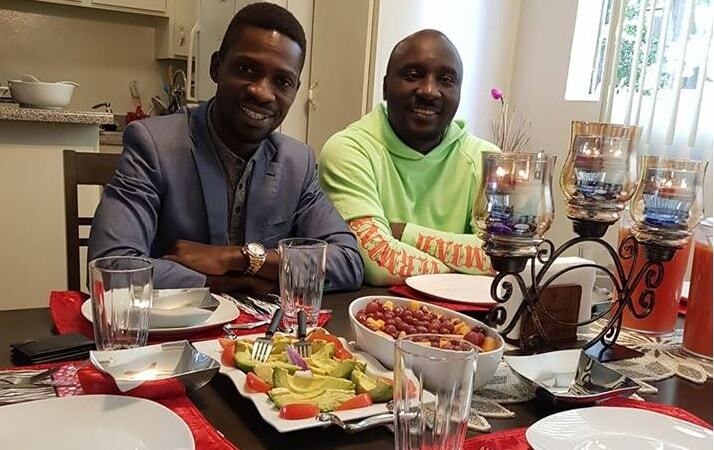 Kyagulanyi landed on fellow artist Amos Kigenyi aka General Mega Dee, who graduated in Medicine two years back, the two had a lot of catching up to do, the Ina Di Dance singer ensured that by the time Bobi Wine is done in the US, he will be familiar with literally everything there including the Ghetto communities. "Because our population comprises of about 85% under 35 years of age, I now consider myself already old and running out of time since over 29 million Ugandans are younger than me and indeed because we seem to be dying off at a very young age, I feel compelled to communicate like a grown up with fellow countrymen and women home and abroad, especially young people." On (Feb 24), Bobi Wine will be in California where he will be meeting his fans and Ugandans at large.